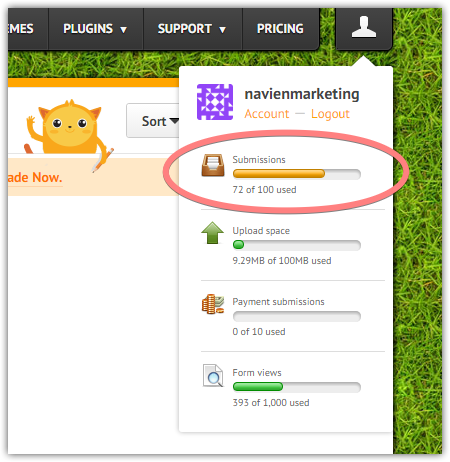 Submissions Limit: How am I almost out of space? A notification pops up saying, "you're almost out of space, upgrade now."... from what I see, I only have 36 submissions, with 160 page views. Please tell me if this is incorrect. But this has me confused. According to your pricing, the free package comes with 100 submissions per month with 1,000 page views. How am I nearing my limit? Does this reset at the beginning of every month? Your account is showing 72 received submissions during September 2016. Please note that we do not clear the Submissions limit once the submission records are deleted. We reset the limit on the first of each month.